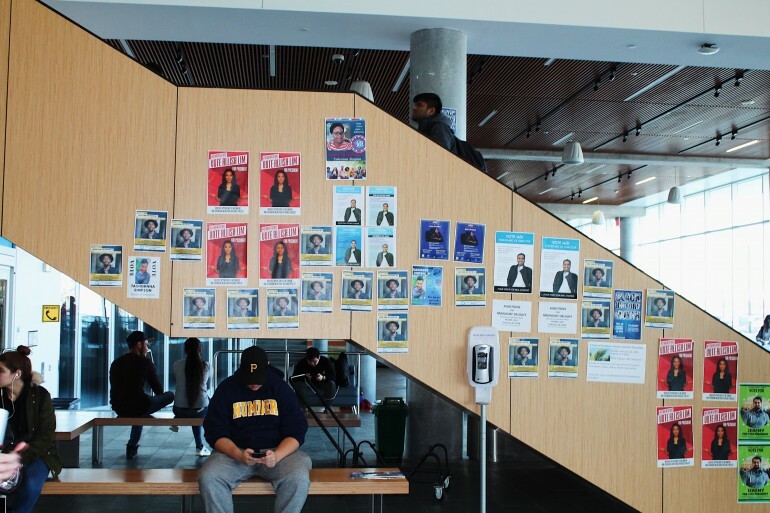 The LRC at Humber North is plastered with fliers for IGNITE candidates. For several years in a row, the Orangeville seat on the IGNITE Board of Directors has remained vacant. Another IGNITE election and another year without an Orangeville campus candidate for the student government. Students at the satellite campus haven’t shown interest in candidacy for years, troubling the student organization. IGNITE President Maja Jocson said her staff is actively trying to engage with students from the Orangeville campus, but so far they haven’t been successful. Though the predicament is troubling for the student government, Jocson says the lack of involvement falls at the student level. One seat is reserved on the IGNITE Board of Directors for an elected Orangeville representative, but in the past few years, the seat has remained vacant. Jocson said the seat will always continue to remain open to candidates, even after the election period. Orangeville Campus Director Joe Andrews said he recognizes why students are rejecting the responsibility, even if the role doesn’t begin until the new academic year. Andrews said a large population at the Orangeville campus is made up of mature students. He said students with young families don’t often have time for student politics. Brittney Davad, a third-year early childhood education student at Orangeville, said student fees paid to IGNITE is a waste for students at the satellite campus. Candidate forums during the election period have been scheduled at the Lakeshore and North campuses and the University of Guelph-Humber, but there are no foreseeable forums scheduled at the Orangeville campus in the coming weeks.